Partial funding for this recording comes from the Telitha E. and John A. Lindquist Fellowship for Creative and Artistic Endeavors at Weber State University. Produced and engineered by Sergei Kvitko | Design: Eleonora Alcalde Machado | Cover photo: Wess Gray | Additional photos: Wess Gray, Molly Helm, Mark Lipczynski and Debora Uzur. 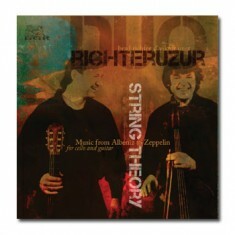 Recorded June 11 -13, 2009 in Brad’s studio in Tucson, AZ using equipment from Sergei Kvitko, Aaron Hubbard and Mike Levy. Brad and Viktor would like to thank Sergei Kvitko, Eleonora Machado, Madonne Miner, Wes Brustad, Manuel Prestamo, Steven Novacek, Mike Levy, Marc Sandroff, Diane Stern, Erik Stern, Aaron Hubbard, Wess Gray, Jim McClurken and John Hand for their contributions to this recording and our professional lives in general. We would also like to thank Debora Uzur, Kerstin Meyers, Noah and Luca Meyers-Richter, Beverly and Karl Richter and all of our friends and fans, for supporting us in countless other ways.